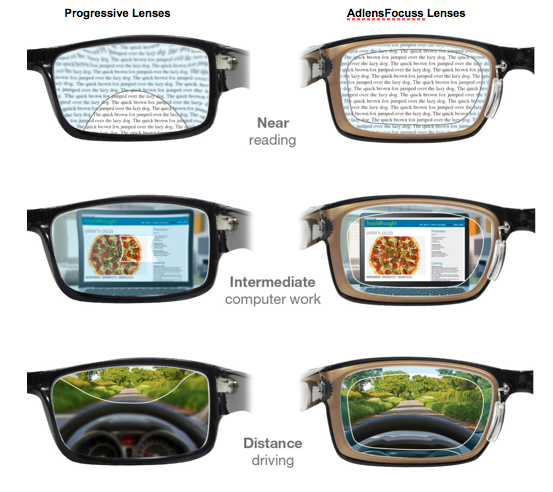 AdlensFocuss frames give you the ability to adjust your vision from near to distance at the turn of a dial. And the real beauty is that unlike progressives, you get virtually the whole lens in focus. AdlensFocuss features a unique technology called Variable Power Optics (VPO). The problem that progressives wearers often describe is that they have difficulty finding the sweet spot at certain distances. The sides of the lenses sometimes distorts shapes and makes objects blurry, which result in having to move your head around to find the focal point. Adjust your vision at the turn of a dial. You only need one pair of glasses for near, intermediate and distance. Custom made for you in England. We are proud to offer this technology at both Cool Springs EyeCare and Donelson EyeCare. Follow us on Facebook for the latest updates around the office! Connect With Us!